The Going Places project in collaboration with the African Chicken Genetic Gains (ACGG) Ethiopia project team held a ‘Doro family day’ (doro means ‘chicken’ in Amharic) at the Addis Ababa, Ethiopia, campus of the International Livestock Research Institute (ILRI) on 10 June 2017. 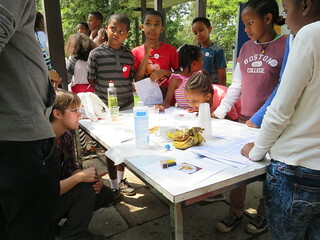 The family event was the main engagement output for the pilot project this year and it had a number of activities on the relationship between humans and chickens that were designed to engage children and parents. 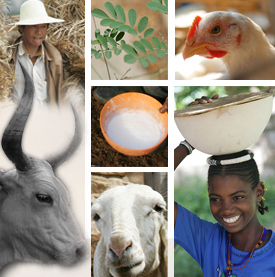 The activities combined the fields of arts/humanities and science to give participants a holistic view of the important role of chickens in Ethiopia’s history and culture. 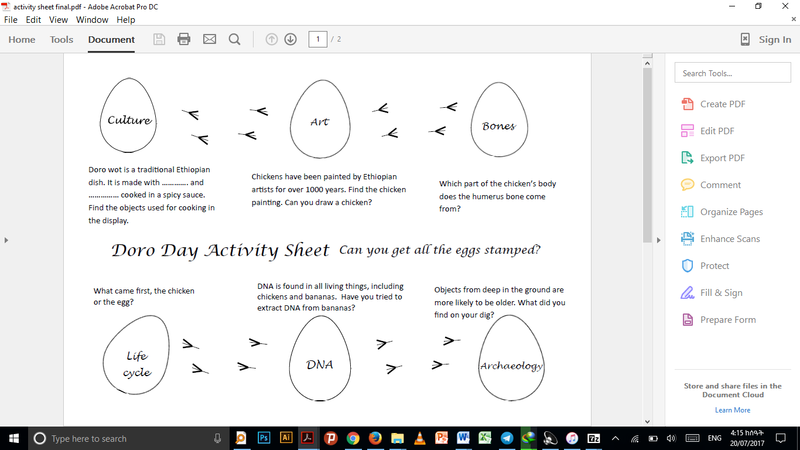 The activity sheet the children followed gave them a wide range of learning experiences including on the cultural significance of Doro Wot, a local spicy sauce made with chicken and eggs, to archaeological discoveries showing the important role chicken have played in the country’s history. 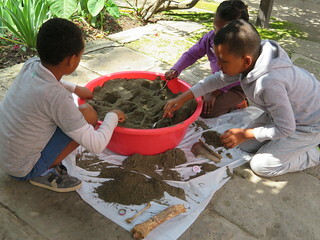 Archaeological treasure hunting was one of the most popular activities in the open day. The event attracted over 100 participants -of which about 70 children- and proved to be a great success. It is likely to be be repeated in the future. Tags: children, Doro Day, entertainment, event. Bookmark the permalink.